Setup a bracket table with the Bracket ID "LOS"
From the dropdown choose the Bracket Type of "Length of Service"
Set one bracket: Enter a max amount ".5". This will represent % of years. The system automatically assumes another bracket column of > .5 to Max. 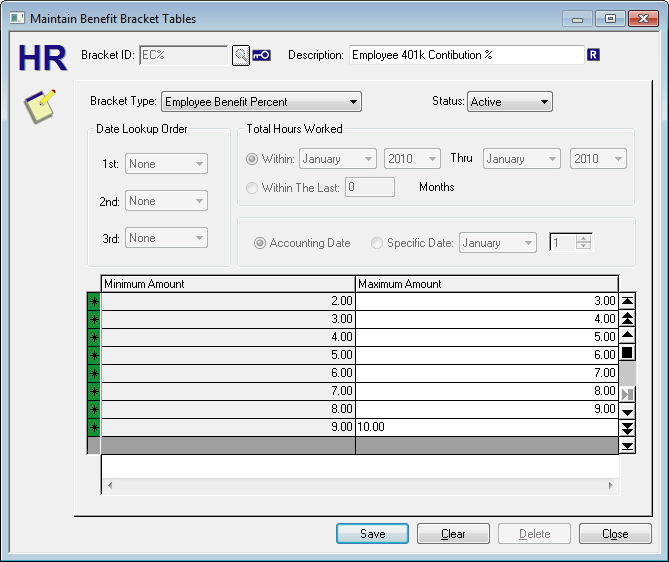 Next we will create another bracket table to define the employee contribution percentages. 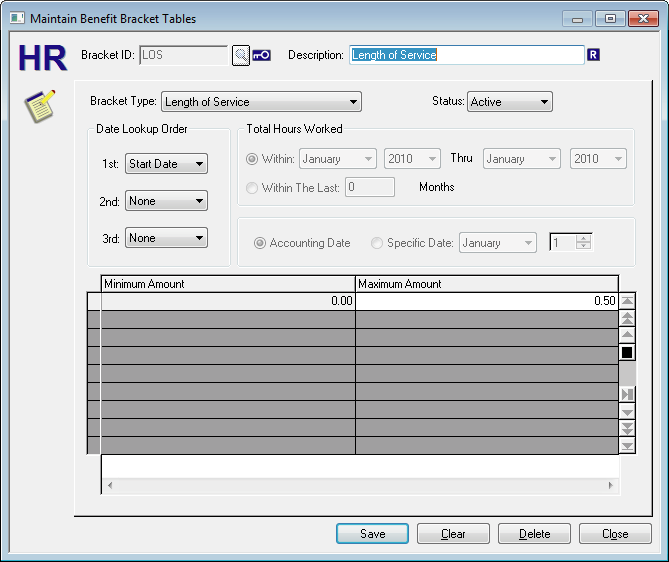 Setup a bracket table with the Bracket ID "EC%"
From the dropdown choose the Bracket Type of "Employee Benefit Percent "
Enter values in the brackets to correspond with available employee percentages. In the example on the left, we use whole numbers from 1-10 representing 1% to 10%. Once completed, let's move on to Step 5.